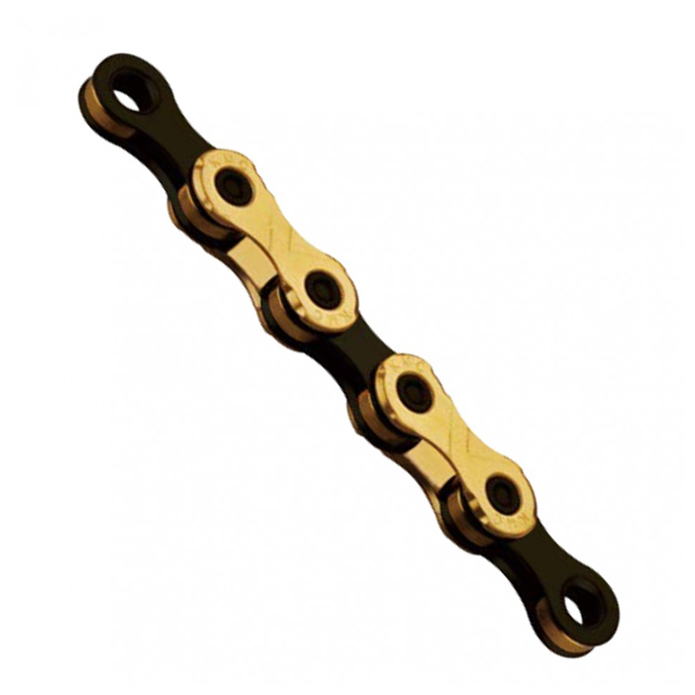 KMC respects the chain as perhaps the most key component on a bicycle. With this in mind they continuously innovate and strive to reach higher levels of performance from their chains. 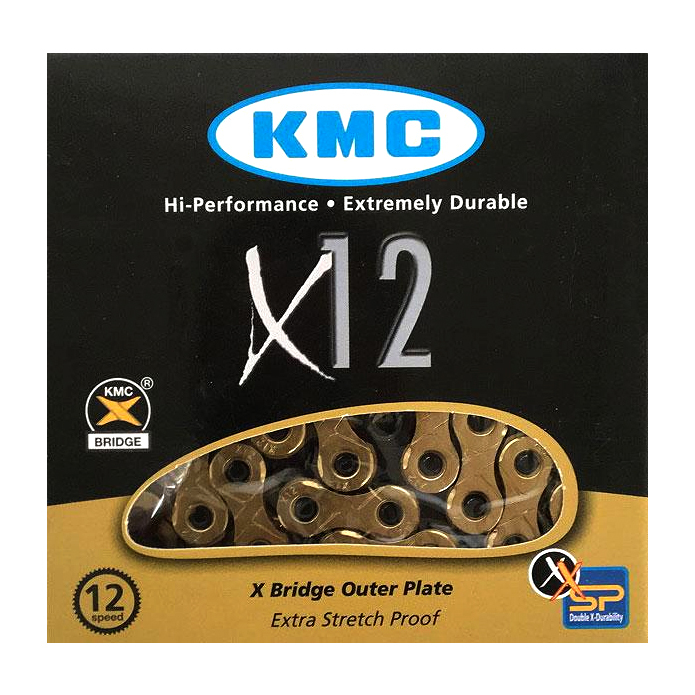 The KMC X12 Ti-Nitride chain is a premium level 12-speed chain that delivers on performance, durability, reliability and happens to look good too. It has been tested and proven in the Beijing Olympics by USA cyclists in both road and mountain bike disciplines. Double X Bridge Shape for super-fast and smooth shifting. Double X Durability is 10% more durable than previous models. Titanium Nitride Gold coating for less friction and low maintenance. Outer and Inner plate chamfering deliver superior shifting.